Fans have questioned the decision to omit Williams's image, and his wife Joanne has accused World Snooker of "massive prejudice" and asked whether it is his age or because he is Welsh. The Twitter account for Snooker 19 explained: "There are 128 players in the game and only space for four on the cover. We were never going to be able to please everyone so we worked with World Snooker to make the tough decision." 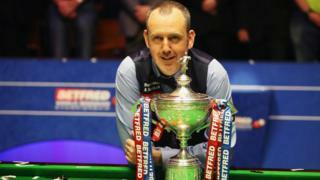 Many snooker fans have disagreed with the decision, some calling the reasoning "bizarre," while others said the choice was "scandalous". Six-times world champion Steve Davis joked that the makers of the game were "trying not to scare kids away from the shelves" and suggested ways that Mark could have been included in the game.